September 7 I hope to have coffee in the morning with the LHA’s Jeffrey Blair. 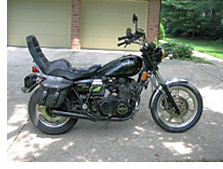 And then later in the day I will meet another person at Rochelle who also has the same motorcycle as I do and he will ride Lincoln Highway with me. So, as opposed to R66 and Dixie Highway which I did solo, this will be a ride-for-two. I will ride US 6 (Grand Army of the Republic Highway) back. I need to be back in Bloomington for the centennial celebration of the School of Journalism at Indiana University, my alma mater 1971-1974. I have copied the detailed maps from your Lincoln Highway Companion book on A4’s which I will have in a plastic folder on top of my fuel tank – so you will be my guide. For English language ride reports visit his site www.harolddebock.nl/?page_id=16 (they appeared originally in the Ride Report Forum on http://yamaha-triples.org/ – the site also contains two extensive Pictorial Sagas of those trips). 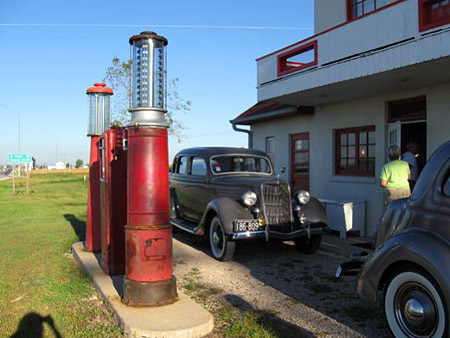 Also this weekend is the fabulous cross-state Iowa Lincoln Highway Motor Tour sponsored by the Iowa Lincoln Highway Association. Here are pics from last summer: Youngville Cafe by Jeff & Tammy LaFollette, and the lunch stop at Woodbine by Osberg. This year’s tour began in Council Bluffs and heads east, ending in Clinton County on Sunday, August 28. The historic route travels nearly 330 miles across Iowa through the communities of Council Bluffs, Denison, Carroll, Jefferson, Boone, Ames, Marshalltown, Tama, Cedar Rapids, and Clinton. More information can be found on the Iowa LHA website, or contact tour director Jeff LaFollette at (563) 349-3047. The 28th annual Lincoln Highway Days will be held in Nevada, Iowa, starting today, August 26–28, 2011. Each day will feature carnival rides and games, food, and much more. Friday, Aug. 26: Celebrate with fun on the Story County 4-H grounds. Lincoln Highway Days Rodeo. Teen and adult dances with live music and refreshments. Saturday morning Aug. 27: One of the biggest parades in Story County. National Guard honors our Soldiers at War along the route of the Lincoln Highway. Klassy Kruisers antique cars. Antique Tractors. BBQ contest. Lincoln Highway Day’s Baby contest. More teen dancing. 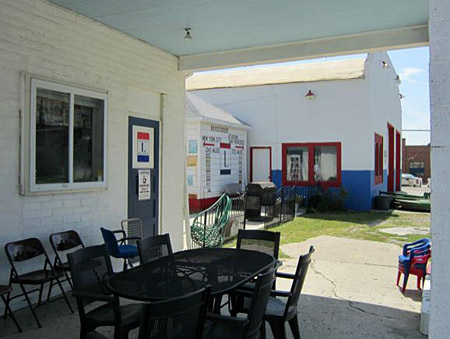 Sunday Aug. 28: A grand day for walking through the Craft building and the Varied Industry building and the Flea Market. The first Lincoln Highway Day was held October 1983, in conjunction with a celebration of the finished railroad overpass west of Nevada. 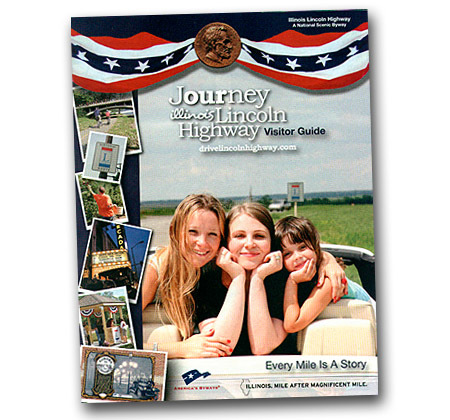 The Illinois Lincoln Highway Coalition (ILHC) has published its new Visitor Guide in print and online. The 56 pages were completely redesigned to pack in even more info, fun facts, and mobile device compatibility. ILHC manages the 179-miles of the Lincoln Highway, a National Scenic Byway — the only state so designated. The guide reach more than 50,000 readers. Visit drivelincolnhighway.com for more information, access to its newsletter, an iBrochure, and to get the visitors guide either mailed to you or as a downloadable PDF. LHA headquarters in Franklin Grove, Illinois, received a call that Ron Preston passed away last week. He was the son of George Preston, whose sign-covered gas station in Belle Plaine, Iowa, is a shrine for Lincoln Highway fans. George bought the station in 1923 for $100 and became famous for his endless tales of LH lore, which I got to enjoy on a visit there in 1991. After George’s death in 1993, Ron cared for the it and adjacent garage full of petroliana. LHA’ers saw Ron at almost every annual conference. Kass and Eric Mencher, who are documenting the Lincoln Highway and publishing their images in an e-book, captured the station and Ron last year. Visit their blog page below by clicking on the image. George’s most famous moment came on March 21, 1990, when he appeared on The Tonight Show with Johnny Carson. The interview starts around 2:30. The Evening Sun of York, Pa., reports that a pair of classic railroad cars that greeted Lincoln Highway travelers to nearby New Oxford have been demolished and sold for scrap. The article explains that Stephen Hieber had the two passenger train coaches next to his business on Lincolnway West in New Oxford. His company, PWI Inc. (which specializes in petroleum dispensing products), acquired the two blue-gray Baltimore & Ohio Railroad coaches at auction in 1999. The company has rented out the 80-foot coaches to various small businesses but for the past three years, no one was willing to take on the expense of renting the coaches. With restoration too expensive, Hieber decided to sell them for scrap. The two B&O coaches came to rest in New Oxford in 1972 thanks to business owner and railroad enthusiast Paul Wagner, who purchased the discarded cars and had them delivered and carefully placed in a V shape next to the tracks on the south side of Lincolnway West. 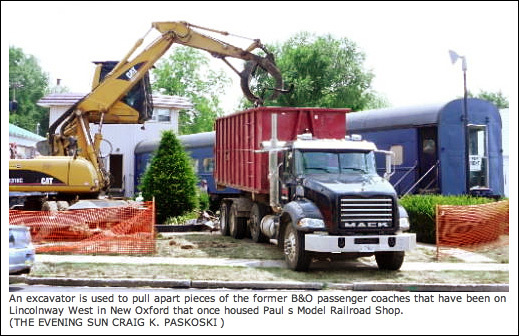 Wagner used the coaches as home for his Paul’s Model Railroad Shop…. The coaches, built in 1930 by the Pullman Company and rebuilt in 1948 in the B&O shops, were used for service between St. Louis and Washington, according to a 1972 Hanover Sun story….